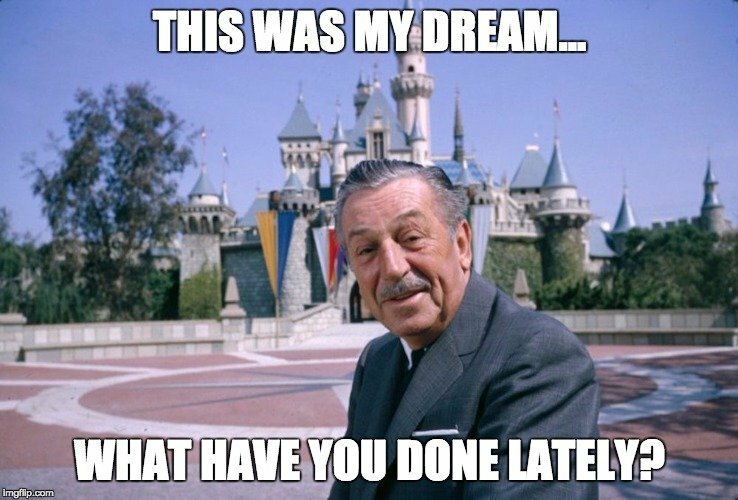 One of Walt Disney’s legendary quotes seems particularly appropriate for this topic: If you can dream it, you can do it. Now, when we’re told this as children, it is meant to inspire and encourage us to reach for the stars and never let anything stop the boundaries of imagination, but in the past, there has been an obvious problem with this mantra. There were certain things that were impossible to make, because we didn’t have the technology to do so. However, with every passing year, we get closer to creating the impossible, and one of the biggest steps towards that has been 3D printing. Before we delve into how cool the process is, we need to understand a bit more about it. 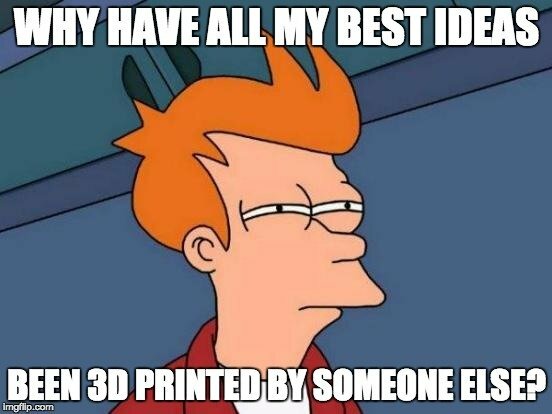 Although 3D printing has become a bit of a buzzword as of late, many people still don’t understand the basic concept. Imagine that you’re printing words onto a piece of paper. The inkjet printers that we have all loved and relied on for years only print in two dimensions – namely, flat on the paper. 3D Printing, however, is an additive process that creates multiple layers of an object, synthesizing it in three dimensions. The entire process is controlled by a computer, with the help of CAD modeling software. These successive layers of material eventually form the precise shape of the desired object. These 3D objects can be individually designed, or they can be the end product of scanning an existing object. Essentially, each layer is a tiny cross-section of the complete object, which may be hundreds or even thousands of layers in complexity. 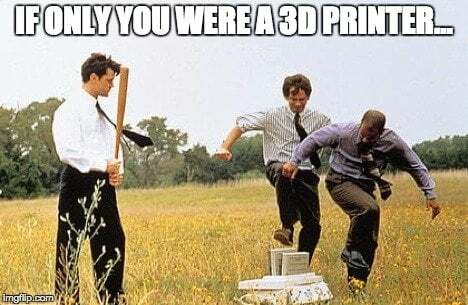 Not every 3D printer is the same, nor are the techniques used to create the objects. Depending on the size, complexity, and material constraints, different approaches to 3D printing must be used. There are 7 main categories of 3D printing, which include…. While the scope of this article can’t cover all the details of each process, we will discuss some of the most popular styles, which is used in most 3D printers in commercial and professional markets. 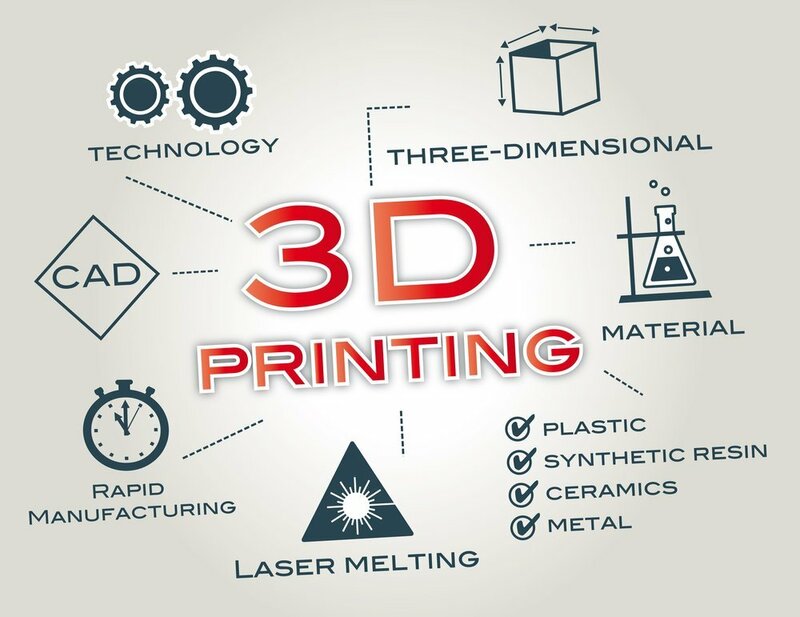 The two broad categories of 3D printing include methods that melt and subsequently shape materials into the printed object, and methods that cure specific polymers with ultraviolet light into the desired object. When 3D printing began, it was exclusively done by depositing material on a powder bed via inkjet printer nozzles. Things have improved significantly, so the definition has had to expand. The use of lasers (Selective Laser Sinetering – SLS) and deposition of materials in different ways (Fused Deposition Modeling – FDM) have become highly trusted means of melting, softening, and compressing the desired material into the proper shape before allowing it to harden back into a solid state. Stereolithography is the other most popular approach to 3D printing, and consists of using a photoreactive resin as the material of choice, and then exposing each layer to a UV laser to “cure” it in place. These two broad approaches to additive manufacturing both have their own benefits, and improvements to the specific techniques listed above are happening all the time. If you have a personal, inexpensive 3D printer at home, it likely uses an FDM technology, as the materials are relatively inexpensive, and the process is rather rudimentary and technologically simple. It seems like as soon as we come up with a new technology, we are instantly trying to predict where it will go in the future; it’s a natural habit of humanity, I suppose. 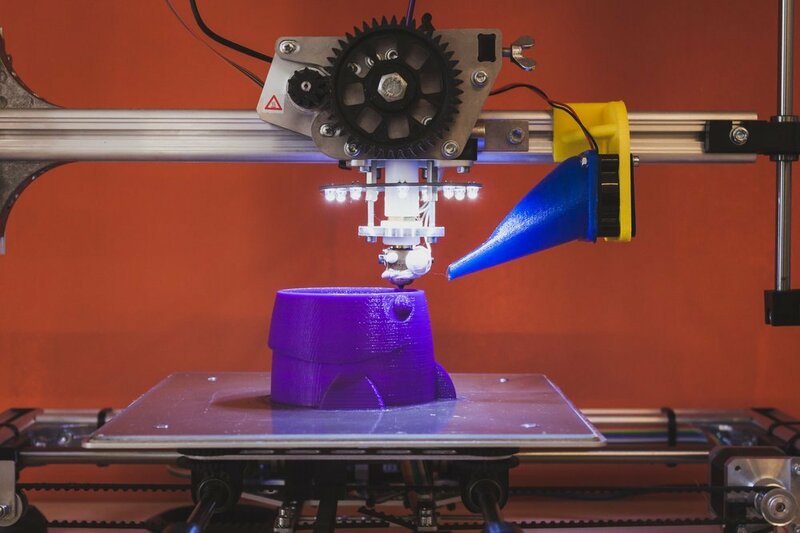 In terms of 3D printing, the idea and basic technology has been around since the early 1980s, but it was cost-prohibitive in many ways, and it wasn’t until the turn of the 21st century that 3D printing really appeared as a significant advancement for wide commercial and personal use. Public use of 3D printing is still drastically lower than the adoption of smartphones and tablets, despite the fact that a personal 3D printer can be purchased for less than $100! Obviously, the quality and complexity of the models can be increased exponentially with more expensive models, which still cost in the tens of thousands for high-level industries. While the global market is just under $4 billion at present, this is expected to grow significantly in the coming years, with some estimates putting it at over $21 billion by 2020. As the number of industries affected and improved by 3D printing increases, money is fueling further innovation, more intricate and precise techniques, and vastly more applications. While DIY 3D printing is a growing trend, people are far more interested in the medical, architectural, and even microscopic possibilities of additive manufacturing. Just for fun, let’s take a look at some of the coolest 3D printing possibilities. In the past, losing a limb or having an organ removed was a relatively permanent problem. While prosthetics work for a severed limb, replacing things inside the body has always been a problem. Using tissue engineering processes and some of the most intricate 3D printing techniques yet developed, researchers have been able to create organs and living tissue by depositing living cells in precise layers, just like printing any other object. These bio-printed tissues and organs can even retain cell viability and function; while bio-printers are still controversial and somewhat untested, the advancements in the field will likely change our world in the coming decades. Imagine being able to grow a new lung, or create new blood vessels, that are your perfect genetic match! By developing new parts and automotive products in a relatively inexpensive way, efficiency and durability is being improved in many automotive areas. This represents nearly $1 billion of the 3D printing industry already, and as the green revolution continues, it will likely rely heavily on the creativity and innovation allowed by 3D printing. As the article stated in the beginning, if you can dream it, you can do it, and that is precisely what normal people are finally allowed to do. You don’t need a huge manufacturing plant or too much know-how. If you can learn how to design something in 3D modeling software, you can let your imagination run wild. This easy access to a viable manufacturing method has spawned dozens of companies and inspired thousands of entrepreneurs. Now, with mobile 3D scanners being built into certain new gadgets (like the Microsoft Kinect), it won’t be long before 3D printing becomes even more mainstream and integrated into our everyday life. Scan something you like, export the file to your inexpensive printer, and within hours, you have your own copy of the object! Amazing! 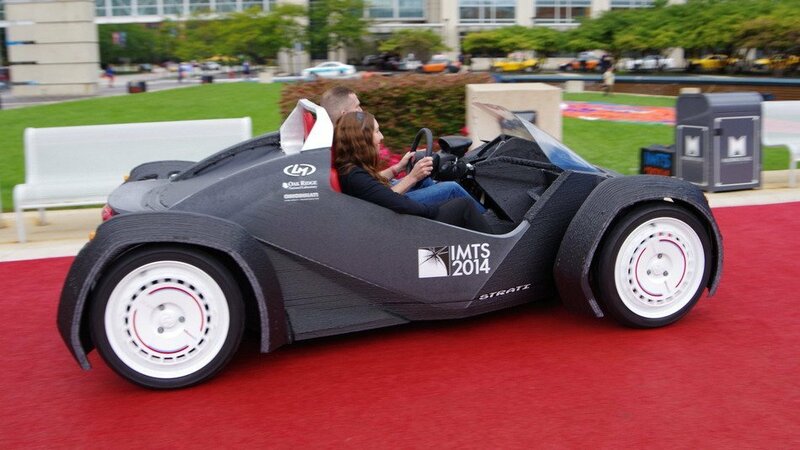 Clearly, 3D printing is going to change our world – and almost everyone seems to agree. We’re just in the early stages of 3d printing possibilities, but the world is eagerly awaiting what comes next!